The spring wine tasting season has come on in a rush. The British Columbia Wine Institute has sponsored three tastings in Vancouver during the past six weeks. As well, the Naramata Bench Wineries Association did its annual spring release event in New Westminster. And the Oliver Osoyoos Wine Country members will be in Vancouver shortly. The point is to whet our appetites for the wine touring season or for finding some favourites to buy among the large number of wines available. This year, there is considerable excitement about the white and rosé wines from the 2011 vintage. They are proving to be some of the best white and rosé wines yet from British Columbia – wines often with the vintage’s bracing acidity, lively flavours and invariably moderate alcohols. Wines from earlier vintages, including reds, also are on display at various tastings. Here are notes on some of the wines that I have had a chance to taste so far. Baillie-Grohman Estate Winery Gewürztraminer 2011 ($17.99). This is the only one of the three Creston wineries with wines in Vancouver market. The wine begins with aromas of rose petals and spice, continuing to spicy citrus flavours, with just a touch of sweetness on the finish. 89. Baillie-Grohman Estate Winery Pinot Gris 2011 ($21.99). A quarter of this wine was fermented on older barrels. That gives the wine additional texture but without oak flavours. The wine is tangy, with citrus aromas and flavours of grapefruit and green apples. 88. Blackwood Lane Chardonnay 2010 ($24). This is a wine in the style of Chablis – crisp on the palate, with citrus aromas and flavours. Half the wine was matured in stainless steel and half was in neutral oak. 88. Calliope Figure Eight White 2011 ($21.99). This is a delicious blend of Chardonnay, Sauvignon Blanc and Pinot Gris. It begins with herbal and citrus aromas and delivers citrus and melon flavours, with a finish that is crisp and fresh. 89. Calliope Figure Eight Red 2010 ($17.99). This red blend probably employs Bordeaux varietals. I could not verify that on the quirky Calliope website. This is a solid barbecue red, with aromas and flavours of black currants and plum. 88. Gehringer Brothers Dessert Sun 2011 ($13.99). This is an easy-drinking white blend with juicy grapefruit flavours. 88. Gehringer Brothers Auxerrois 2010 ($14.99). This is the wine if you want the weight and complexity of Chardonnay but a different flavour profile. There are flavours of peach, apricot and melon, with a lingering, refreshing finish. 89. Gehringer Brothers Dry Riesling 2010 ($14.99). This wine, with citrus aromas and flavours, is balanced to finish dry but not austere. This is a crowd pleaser. 89. Howling Bluff Summa Quies Sauvignon Blanc Sémillon 2011 ($20). This racy white has intense aromas and flavours of lime and minerals, with a crisp and focussed finish. 91. Jackson-Triggs Sauvignon Blanc Reserve 2011 ($13.50). This wine is so tasty that I will forgive the marketing department from attaching “reserve” to wines selling for less than $20. This is a refreshing and focussed white, with grassy aromas and with flavours of grapefruit and lime. The lively acidity gives this wine a crisp finish. 89. Jackson-Triggs SunRock Vineyard Shiraz 2011 ($35). This is a barrel sample unlikely to be released until next year. The wine has spicy and smoky berry aromas, with flavours of spiced cherries and chocolate, with soft tannins and with a very long finish. 90. Mission Hill Five Vineyards Pinot Grigio 2011 ($15.99). This is always one of Mission Hill’s best-selling wines because it is a juicy and quaffable fruit bowl of flavour (citrus, apple, peach). 89. Mission Hill Five Vineyards Rosé 2011 ($15.99). Made with 82% Merlot and 18% Cabernet Sauvignon juice, the wine begins with an appealing hue of dark rose petals. It has aromas and flavours of watermelon and strawberry. Balanced to finish dry, it is a delightfully refreshing. 88. Painted Rock Estate Winery Syrah 2009 ($40). This wine has just collected a silver medal at the Syrah du Monde competition in France. This is a bold, meaty wine in every way – bold flavours of plum, black cherry and blackberry framed by oak and vanilla and finishing with a touch of spice. The tannins are firm; this is a wine for cellaring a few years. 90. Painted Rock Estate Winery Red Icon 2009 ($55). This is the winery’s flagship red, a blend of Merlot, Cabernet Franc, Petit Verdot, with a touch of Syrah. It begins with aromas of mint, cedar and red berries. On the palate, it is so complex that it is hard to find enough descriptors: black currant, chocolate, olives, prunes, with a firm, age-worthy structure. 92-94. Sandhill Pinot Gris King Family Estate 2011 ($18.99). Beginning with citrus aromas, this crisp, fresh wine delivers flavours of pear, apple and melon, with bright but balanced acidity on the finish. 90. Sandhill Pinot Gris Hidden Terrace Vineyard 2011 ($N.A.). This is a debut Sandhill wine from a vineyard at Covert Farm near Oliver. The vines were three years old last fall, yielding wine with delicate fruit aromas and flavours, as well as softer acidity than the King Family wine. 88. Sperling Vineyards Market White 2010 ($16). This is a tasty aromatic blend of Pinot Blanc and Bacchus, with a dash of Perle of Csaba. It is a juicy wine, with aromas of lime and herbs and with flavours of apple and citrus. 90. Sperling Vineyards Old Vines Riesling 2010 ($32). As the price suggests, this is one of the two or three best Rieslings in British Columbia, with savoury, mouth-watering flavours of lime and minerals and with bracing acidity. This is a wine to age for a few years, even if it tastes great now. 91. Sperling Vineyards Old Vines Foch 2009 ($26). Chewy and full-bodied, this red has flavours of black cherry and mocha. The silky, ripe tannins contribute to a lingering finish. 89. Stoneboat Vineyards Pinot Gris 2011 ($18.90). This is a delicious wine, beginning with aromas of herbs and citrus. It has tangy grapefruit flavours, with an herbal note on the finish. The wine has a zesty and refreshing finish. 90. Stoneboat Vineyards Chorus 2011 ($17.90). This is delicious and complex blend of six what varieties: Pinot Gris, Pinot Blanc, Müller Thurgau, Viognier, Kerner and Schönburger. The wine presents juicy tropical fruit flavours – lime, guava, melon and apple – with spice and herbs on the crisp finish. 90. Stoneboat Vineyards Pinot Noir 2010 ($24.90). The previous vintage of this wine won a Lieutenant Governor’s Award of Excellence. I believe this vintage will also win its share of awards. Dark in colour, with a concentrated texture, it has cherry and strawberry aromas and flavours with spice on mocha on the finish. 90. Stoneboat Vineyards Pinotage 2010 ($24.90). The winery earned a Lieutenant Governor’s Award for the 2007 vintage of Pinotage. In my view, it has refining the wine even more. Dark in colour, it begins with an appealing aroma of red fruit (the winery’s notes say brambleberries). On the palate, there are flavours of cherry, plum and pomegranate, with spice on the finish. 90. Time Estate Winery McWatters Collection Meritage 2009 ($29.99). Time is the new winery being launched by Sumac Ridge founder Harry McWatters. He has already been preparing the market with a Meritage and a Chardonnay labelled McWatters Collection. The 2009 Meritage (700 cases) is the latest release. The wine is 44% Cabernet Sauvignon, 32% Merlot and 24% Cabernet Franc. It is a full-bodied red with long ripe tannins, red berry aromas and flavours of black currant, black berry and vanilla. There is a touch of spice and black pepper on the finish. 90. According to information gleaned from a wine store owner, Vincor has stopped shipping two cheap and popular wines to VQA stores. The wines are Okanagan Vineyards OKV Select Red and OKV Select White. At $7.99 each, these were the lowest-priced VQA wines available in the VQA stores. VQA store owners, who have sold these wines for several years, are very upset because these wines represented substantial volume for most stores. The wines brought in customers who, in the belief that VQA wines are too expensive, would have shopped somewhere else. For many consumers, the $7.99 price point is the sweet spot. To see that, you just need to look at what the BC Liquor Distribution Branch offers in budget table wines. Both the selection and the quantities available are astonishing. * The BCLDB currently has in its stores some 1,798 bottles of Franciscan California Red and 1,460 bottles of Franciscan California White, each selling at $7.29 a bottle. * The BCLDB has two California wines from Gray Fox at $7.99 a bottle. Currently, the stores have 3,670 bottles of Chardonnay and 3,076 bottles of Cabernet Sauvignon under this label. * The stores list 2,106 bottles of Stellenbosch Blouberg, a white from South Africa, at $7.99 a bottle. I could go on, but you get the point. There are plenty of consumers out there who will not, or cannot, spend much more than that for everyday drinking wine. The VQA stores still are getting some OKV wines: VQA varietals at $8.99 a bottle. However, the general entry level price for most VQA wines is $12.95. For a lot of consumers, it is a big hurdle to fork over another $5 a bottle for wine. It is not entirely clear why the VQA stores are no longer getting the $7.99 wine. One owner saw a comment attributed to Vincor that the British Columbia Wine Institute, which owns the VQA store licenses, has decided that a $7.99 wine is not good for the VQA image. Unless the wines are mediocre, I don’t see that. I have not tasted the wines but I did have family members who were repeat buyers. Since I taught my family a thing or two about wine, I don’t think they would have continued to drink OKV if the wines were less than acceptable. Another owner was told the wines are not profitable for Vincor. That strikes me as an unlikely explanation. One of the company’s biggest non-VQA brands is Sawmill Creek. Most of those wines retail between $7.69 and $7.99. Sawmill Creek White is $6.99 and the BCLDB currently stocks 3,249 bottles of this wine. It is believed that the OKV Select Red and Select White VQA wines will still be available in private beer and wine stores. It looks like more wine is being made in British Columbia than we are consuming. That is a conclusion that can be drawn from the report of the 2011 grape crop compiled by BDO Canada LLP and released by the British Columbia Wine Institute. The 2011 crop totalled 22,722 short tons and that was 28% higher than the 2010 crop of 17,732 tons. That jump reflects both the production from newly planted vineyards and the somewhat better growing conditions in 2011. A crop that size should have produced at least 12 million litres of wine and perhaps as much as 14 million litres, depending on one’s assumptions on how many litres can be pressed from a ton of grapes. According to the Wine Institute’s annual report, sales of VQA wine totalled 8,359,124 litres in the 12 months ended March 31, 2011. 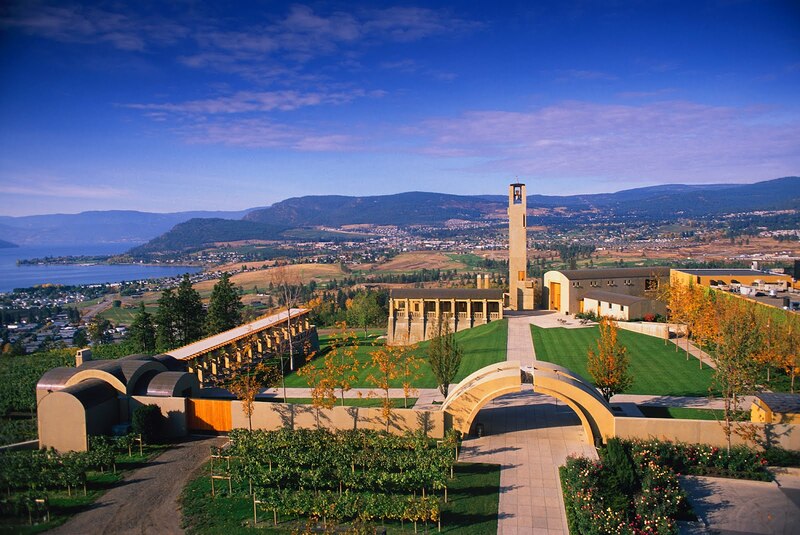 While appreciable volumes of wine from British Columbia grapes are sold without the VQA designation, it would hardly be enough to bridge the gap between VQA sales and the likely production from the 2011 crop. Hence, the inference that some wineries at least might be dealing with a surplus. There is every reason to expect that the gap between sales and production will be larger this vintage. Additional recently planted vineyards are coming into production. One estimate within the industry is that the 2012 crop could be as high as 29,000 tons with good growing conditions. A grape surplus should mean lots of moderately priced wines for the foreseeable future. But don’t expect to see a British Columbia version Two Buck Chuck. The wineries can be pretty creative in soaking up the surplus. Remember that perhaps 10 large producers own the majority of the vineyard acreage in the Okanagan. The major owners of vineyards include Mission Hill, Vincor, the Andrew Peller group and Mount Boucherie Estate Winery. These wineries, and those in the next size tier, all have lots of marketing clout to move their VQA wines. They also have outlets for wines that are surplus to their VQA brands. The major wineries very likely are blending excess British Columbia wine with the bulk wine imported for the cellar-in-Canada wines. If your favourite CIC wine is tasting a little better, that may be the reason. * More producers are making private labels for restaurants. Orofino Vineyards in the Similkameen is producing two wines for Vancouver restaurateur David Hawksworth while Okanagan Crush Pad has just launched two wines for the Cactus Club with chef Rob Feeney’s name on the label. * A growing number of British Columbia wineries are signing up to supply restaurant wines in kegs through Vancouver Urban Winery. * There is a growing push to release more wines in bag in box, both for the restaurants and for consumers looking for affordable everyday wines at home. This latter effort has generated controversy because VQA wines can be sold only in glass and not in the boxed format. Summerhill Pyramid Winery was prevented last year from putting VQA on a box even though the wine the box was the same as the wine in the VQA bottle. More recently, at a Wine Institute tasting, Okanagan Crush Pad was ordered to take down a display of empty three-litre boxes for its Haywire brand of wines. The Wine Institute associates itself only with VQA wine. Haywire wines are also sold in bottle and have passed VQA, with flying colours. This is exactly the same wine that Haywire puts in boxes or in kegs, in a sensible effort to broaden its market while passing on packaging savings. The rule that prevents VQA wines from being sold in the box format was put in place at the beginning of VQA two decades ago. At that time, bag in box wines generally contained imported bulk wine and the wine industry did not want to confuse the VQA image. It is time to update those rules and rely on the British Columbia Wine Authority’s audit powers to make sure no one is cheating. But that probably won’t happen because the rule amending formula demands agreement from too high a percentage of the wineries. How ironic is that that some good British Columbia wine is likely being blended into some of those cellared-in-Canada box wines! Wine tourists can’t miss River Stone Estate Winery because it is in a red and yellow house at the top of a vineyard just off Tuc-el-Nuit Road at Oliver. You just can’t get to it from that road: access is via Buchanan Road which more or less borders the south end of the vineyard. Winery access could be arranged from Tuc-el-Nuit Road, but only at the sacrifice of precious vines in a vineyard just seven acres in size. That is not going to happen. The best and highest use of this site is growing grapes. Ted Kane, the co-owner of this two-year-old winery, bought the property in 2001 after it had been fallow for 30 years. Eager to get into the wine business, Ted had worried that the best sites in the Okanagan would be snapped up before he could move from Edmonton, where he was a respiratory therapist. As it happened, he found an excellent site for grapes, a sun-bathed slope with an excellent southern exposure. The local terroir was already proven by the vineyard next door, which is Roland Kruger’s Mistral Vineyard. The Kruger family’s Wild Goose Vineyards produces award-winning Pinot Gris and Pinot Blanc from that vineyard. Ted and his wife, Lorraine (now a doctor in Osoyoos), began planting the vineyard in 2002 and included a small block of Pinot Gris and a smaller block of Gewürztraminer. However, the additional heat units collected by slope of the vineyard led to planting primarily four Bordeaux red varieties – Merlot, Cabernet Sauvignon, Cabernet Franc and Malbec. The size of each block was determined by the percentage of each variety that Ted wanted for the flagship red that he had in mind. That wine is called Corner Stone. The first release, from the excellent 2009 vintage, is among the wines currently available from River Stone. Judging from the taste of the wine, Ted’s planting decisions (made with advice from a viticultural professional) are working out well. The debut releases from this winery, some of which I tasted last year, were very good. The same can be said for the newest releases. Here are my notes. River Stone Pinot Gris 2011 ($19.90 for a production of 284 cases). This is a crisply dry white with citrus aromas and with flavours of apple, pear and green melon. The lively acidity of the vintage gives the wine a tangy finish. 88. River Stone Malbec Rosé 2011 ($19.90 for 138 cases). The success of the winery’s 2010 rosé ensured that River Stone would keep this in the portfolio. Rosé wines from the Malbec grape are relatively rare. This is a big, juicy rosé with aromas and flavours of plum and black cherry. It has the weight of a light red, with a lingering and refreshing fruit on the dry finish. 89. River Stone Merlot 2010 ($19.90 for 133 cases). The largest block in the River Stone vineyard is Merlot because, as the winery says, “it thrives in the South Okanagan climate.” Merlot certainly gets ripe on this site: this wine has 15% alcohol and a sweet, fruity aroma that almost suggests port. On the palate, this big wine has flavours of plum, blackberry, blueberry and fig, with a touch of vanilla and chocolate on the finish. 88, with the potential to grow to 90 with a couple of years in the cellar. River Stone Cabernet Franc 2010 ($25.90 for 120 cases). This variety also does well in the South Okanagan and has begun to capture a consumer following. River Stone’s wine has the classic brambleberry and peppery aromas of the variety, with flavours of blackberry, raspberry and mocha. Initially, the wine has a youthful firmness suggesting it either should be decanted or, as the winery says, cellared for five to seven years. I sampled it over four days and it improved each day. 89-90. River Stone Corner Stone 2009 ($28.50 for 349 cases). This is the blend of the four red varietals, with Merlot as the backbone. Aged 14 months in French oak, the wine is built for reasonably long aging (five to seven years) but is showing well now. There are aromas and flavours of vanilla, plum and black currant, opening up to show dark chocolate on the finish. 89-91. Currently, the winery also offers, in small volume, a 2010 Cabernet Sauvignon and a 2011 Gewürztraminer from its own vineyard. It also sells a wine called Splash, a fruity Pinot Gris made with purchased grapes. Should a wine review be pointless? The gap of more than two weeks before postings is explained by the photograph above: I was in Russia. This small but striking church is the Church of Prince Dimitri on Blood in a city called Uglich, about two hours northwest of Moscow. Built in 1692, it commemorates the death of the young Prince Dimitri, the son and only heir of Czar Ivan the Terrible. His death, which ended a dynasty and led to the rise of the Romanov Dynasty in 1613, was said to have happened accidentally when the boy was playing with a knife. The more likely explanation is that he was assassinated. The church, at the edge of a river, is among the sights that attract tourists to cruise between St. Petersburg and Moscow. These are not wine cruises, even if our ship served remarkably good Spanish wines at lunch and dinner and offered a vodka tasting (six anaesthetizing samples) one evening. However, there was enough leisure to reflect on wine, notably on the spring newsletter from Le Vieux Pin winery which arrived on my Ipad during the cruise. The winery offered a thought about rating wines which struck me as curious. I have reviewed the winery’s releases twice this year in this blog, generally scoring the impressive wines at 90 points or better. The newsletter reprinted some of the reviews, describing them as “flattering” while omitting my point scores. I agree that reducing a wine to a number would be “an affront.” That is the reason why the number of every wine I review is preceded with text that describes the wine and puts it in context. The numerical rating just sums up a judgment on the quality of the wine. Most wine reviewers operate like that. A more interesting debate might question the rating scales that are in use. Thanks to Robert Parker and The Wine Spectator, most reviewers have come to use the so-called 100 point scale to rate wines. In my view, it is far less precise than the 20 point scale developed decades ago by the University of California and still used in some wine competitions. The scoring sheet breaks a wine into categories – a point or two for appearance, four or five points for aroma, and so on. It forces the critic to pay attention to key individual properties of a wine. The sum of these is the final score of the wine. An 18 point wine is generally the equivalent of a 90 point wine. But tell me: would you buy a wine if the shelf talker said that John Schreiner had awarded it 18 points? Or three stars out of five, or six out of seven, or whatever other rating system exists. Not likely, because the North American consumer reacts almost exclusively to the 100 point scale. Of course, the 100 point scale is a bit of a sham. You can pass a school exam with 50 or 51 points. Wine, on the other hand, needs to score at least 75 to pass, if not 80. I can’t recall seeing a review of a wine that scored only 80. I think we all would consider that such a score signifies a drinkable wine but nothing more. So the 100 point scale really is just another 20 point scale, but one that does not separate individual properties of a wine. The scores reflect the benchmarks of quality that experienced reviewers recognize (most of the time). In the past year, I have raised my scoring threshold to rate more wines 90 and above and fewer in the mid-80s. That compensates for the perceived shortcomings of the 100 point scale. Why not score a good wine 92 to 94, even higher, if I judge the quality to be there? And when I “reduce” a wine to 95 points, be assured that the text will support my reason for that score. Would I score a wine 100? Yes. Last year, I tasted an Austrian dessert wine that was so perfectly balanced, with such clean, elegant flavours, that I could not find any reason to deduct anything from a perfect score. Whenever I open a wine to rate it, I start from an optimistic position. I have judged with people who approach every wine, looking for its faults. I approach every wine, looking for its qualities. And when I find them, I will describe them and score them. In the recent Pacific Rim Wine Competition at Orange County in California, Quails’ Gate Estate Winery came away with two gold medals and flour silvers. This is one of the earliest international wine competitions in the season. 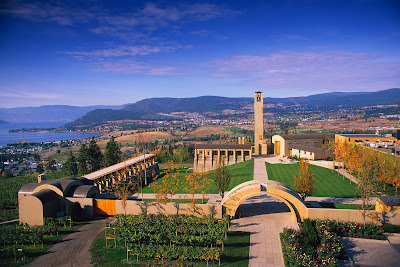 Quails’ Gate will go on to compete in many more this year and, as usual, will bring home a host of awards. The Pacific Rim awards: gold for both the 2010 Chardonnay and the 2010 Pinot Noir in the “under $25” category. Silver for the 2010 Pinot Noir (under $25); for 2010 Stewart Family Reserve Chardonnay; for the Dry Riesling 2011; and for the Optima 2010 dessert wine. Quails’ Gate is one of those Okanagan producers so reliable that you don’t need my scores before you buy the wines. But here they are anyway. Quails’ Gate Chasselas Pinot Blanc Pinot Gris 2011 ($18.99 for a production of 10,237 cases). This wine is a blend of 40% Chasselas and 30% each of the other varietals. The winery has the oldest planting of Chasselas – a Swiss white variety – in the Okanagan. A few vintages ago, winemaker Grant Stanley began blending it with Pinot Blanc and Pinot Gris, partly to make a more interesting white and partly to reduce the size of the portfolio. As the production indicates, the wine is hugely popular. This one brand is bigger than most wineries in B.C. The wine begins with an appealing aroma of tropical fruits and flowers, leading on to tangy flavours of pink grapefruit and lime. There is a slight touch of residual sugar balancing the acidity and adding weight on the palate. This is a delicious summertime white wine. 90. Quails’ Gate Gewürztraminer 2011 ($16.99 for a production of 4,627 cases). This is an attractively understated Gewurz, with delicate aromas of rose petals, spice and citrus; and with flavours of grapefruit and lychee. The wine has just enough residual sugar (10 grams) to plump up the fruitiness without taking away from crisp finish. 89. Quails’ Gate Chenin Blanc 2011 ($18.99 for 3,843 cases). Quails’ Gate is believed to be the largest producer of Chenin Blanc in British Columbia. Only a hand full of wineries has this varietal, alas, for it is a great wine with shellfish and other seafood. It is a tangy, racy wine with dramatic aromas of lime and lemon and flavours of lime, grapefruit and tart apples. The minerals and the fresh acidity give the wine good structure and weight. While this is drinking well already, it will age superbly, developing a richness of flavour and texture in four or five years. 91. Quails’ Gate Dry Riesling 2011 ($16.99 for 4,404 cases). This bone-dry Riesling, very good now, will age over the next decade to great elegance. It begins with lime and green apple aromas which also are expressed in the flavours of lemon, lime and minerals. The bright acidity makes the wine savoury and mouth-watering, with a tangy finish. 90. Quails’ Gate Pinot Noir 2010 ($25 for 9,000 cases). Fairly dark in colour, the wine begins with aromas of sour cherry and spice. There are flavours of cherry and chocolate. The winery’s notes speak of a silky texture but I think the texture is still firm and a little closed – nothing that time won’t resolve. The wine has only been in the bottle since December and will benefit with another six to 12 months of bottle age. This won gold in the “under $25” category. 88. Township 7 Vineyards & Winery has pulled off a coup by being selected to produce the official wines for Calgary Stampede’s centenary this summer. The Stampede got samples from a number of wineries and, after tasting them, settled on a Chardonnay and a Merlot from Township 7. The Centennial Chardonnay is $21.99 and the Centennial Merlot is $26.99 in British Columbia, where the wines are available at Township 7’s wineries in Penticton and in Langley. The wines, selling for a couple of dollars less in Alberta, are available in several leading Alberta private wine stores. They will also be sold on the grounds at Stampede Park in Calgary during the Stampede, which takes place during the first two weeks of July. Calgary is familiar stomping ground for Township 7 proprietor Mike Raffan. A Vancouver native, he lived in Calgary from 1998 until he bought Township 7 in 2006. In Calgary, he was a partner in the launch of several restaurants, including three Milestones restaurants. Township 7 is getting into that spirit in a big way. During the Stampede, it will host a number of food and wine seminars in Calgary. As well, it plans Stampede parties at its two wineries. There will be a “Western Roundup Anniversary” at the Penticton winery on July 7 and 8, complete with barrel tastings with winemaker Brad Cooper. There will be country music and barbecue food paired with the Centennial wines. On the following weekend, there will be a comparable party at Township 7’s Langley winery, this time including a $20-a-ticket country and western concert on the evening of July 14. The winery is encouraging guests to break out their western attire and get into the spirit with Township 7. Meanwhile, Township 7 has just released two excellent reserve wines. Both are in limited quantities and should sell out quickly. Township 7 Reserve 7, 2008 ($34.99 for 217 cases.) This is a blend of 75% Merlot, 17% Cabernet Sauvignon and 8% Cabernet Franc, aged 25 months on French and American oak. It is a big, ripe wine, beginning with a dramatic aroma of black currant and vanilla. On the palate, there are flavours of black currant, plum, chocolate and vanilla. The texture is rich and concentrated and the finish is very long and satisfying. 91. In 1862, a resident of Lillooet named John Callbreath had the bright idea to import 23 camels as pack animals for the Cariboo gold rush. This history has now found its way onto an excellent white blend called 23 Camels, made by Fort Berens Estate Winery, the first and, so far, only winery in Lillooet. During the gold rush, Lillooet was briefly the largest city north of San Francisco. When Dutch immigrants Rolf de Bruin and Heleen Pannekoek established their 20-acre vineyard and winery there in 2009, they dipped into local history. First, they named the winery for a Hudson’s Bay post that was set up at Lillooet, but never completed. And they were attracted to the unlikely story of the 23 camels for a wine they are making exclusively for restaurants. John Callbreath was “a pioneer,” Rolf and Heleen write on the wine’s back label. A century and a half later, they are the new pioneers in Lillooet by opening up what their consultant, Harry McWatters, calls Canada’s newest wine region. Fort Berens has just released its first two estate-grown wines, a rosé and a Riesling. The latter wine has just won a gold medal and “best in class” at the recent Pacific Rim International Wine Competition in California. What a way to introduce a new region! Rolf and Heleen were in high-powered consulting and banking careers in Holland when they decided in 2005 that they want a change of lifestyle and career by entering the wine business. Fluent in English, they began looking at vineyard property in the Okanagan. In took them three years to get their immigration papers sorted out and by that time, vineyard prices were sky high. One of the viticulturists they spoke with directed them to Harry McWatters, the founder of Sumac Ridge and now an independent consultant. It turned out that Harry had recently been in Lillooet to look at grape growing trials then being sponsored by the province. He thought there was excellent potential – and vineyard land was very reasonable in price. Following his advice, Rolf and Heleen leased property there and planted 36,000 vines in the spring of 2009. The varieties chosen are Riesling, Pinot Gris, Chardonnay, Pinot Noir, Cabernet Franc and Merlot. All are doing well although there is still a question mark about Merlot, a vine susceptible to winter kill. Growing conditions in the Lillooet and Lytton areas are somewhat like those of the south Okanagan – hot sun-soaked days and cool nights. The average frost-free days at Lillooet total about 183 days. There is some concern that winters might be colder than in the Okanagan, killing vines. However, Harry notes that the hard cold comes later in the season in Lillooet, meaning that the vines have had time to go into protective hibernation. A handful of other vineyards have now been planted in the area. “I would love to see more wineries come to the area,” says Heleen. Not that Lillooet is especially isolated: it is a little more than an hour from Whistler (via the picturesque Duffy Lake Road) and three hours from downtown Vancouver. With Rolf and Heleen needing to make a living, they began selling Fort Berens wine since the fall of 2009 with wines made from Okanagan grapes. The strategy has paid off. The winery, now making about 2,200 cases a year, has its wines in all of the VQA stores and in many restaurants. Okanagan winemaker Tim DiBello (formerly with CedarCreek) supervised their initial vintages. Last fall Bill Pierson, who was Tom’s assistant at CedarCreek, became the fulltime winemaker for Fort Berens. In 2011, when Fort Berens got its first harvest from the Lillooet vineyard, the estate-grown fruit provided 40% of the production. Rolf expects that, by 2013, the vineyard will provide 80% of the grapes they need. They will buy grapes from other vineyards in the area, if those grapes are available, showcasing this emerging wine region. But they may never quite wean themselves from some Okanagan fruit. The winery needs Cabernet Sauvignon for its Meritage blend and that is a long-season variety unlikely to succeed in Lillooet. Fort Berens Riesling 2011 ($17.99 for a production of 175 cases). The wine begins with honeyed floral aromas. On the palate, there are flavours of lime and grapefruit, with just a touch of sweetness to give additional lift to the fruit flavours. The wine is drinking well now (see the gold medal) but there will be further development here with more bottle age. 91. Fort Berens Pinot Gris 2011 ($17.99 for a production of 275 cases). This wine, made with 35% estate grapes and 65% Okanagan grapes, won a bronze medal at the Pacific Rim competition. The wine is crisp and refreshing, with aromas and flavours of citrus, apples and pears. 88. Fort Berens White Gold 2010 ($24.99 for 98 cases). This is a Chardonnay; White Gold signifies an upper tier of quality. Half of this wine spent six months in new French oak while the remainder was in stainless steel. About half of the wine also went through malolactic fermentation. All of this detailed fussing paid off. The wine retains lovely aromas and flavours of citrus supported subtly by hints of oak and by buttery flavours and texture. 90. Fort Berens Pinot Noir Rosé 2001 ($17.99 for 90 cases). This is 100% from Lillooet grapes, the first small harvest (1.6 tons) of Pinot Noir. The juice spent 48 hours on the skins to extract a vibrant colour and lots of flavour. The wine begins with aromas of strawberries and cherries. On the palate, there are flavours of sour cherries, raspberries and cranberries. There is a hint of spice on the crisp, dry finish. 88. Fort Berens 23 Camels 2011 ($N.A.). This is a delicious blend of Pinot Gris, Chardonnay and Riesling, finished in the apple-fresh style that screams wine by the glass … the perfect restaurant wine. It is crisp but also fruity, with floral and herbal aromas and with flavours of citrus, melon and apple. 90.